While spending a few weeks back in the U.S. over Christmas break, I made the inevitable trip to the mall to invest in some basic necessities like jeans and v-necks since most of mine were faded and beyond repair after over a year of being hand-washed while living in Nicaragua. Yet as I wandered into Target, a little overwhelmed and determined not to buy more than I really needed, I was surprised to find printed on the back of the v-neck I picked up “Made in Nicaragua”. Not used to seeing a Central American country on a tag, let alone the country I’ve been living in, I decided to investigate a bit. What is the impact of buying a shirt made over 2,000 miles away in a small, poor Central American country? And why, on the other hand, is the biggest demand for clothes in Nicaragua for U.S. imported clothing? Well the answer to that question can be found in the DR-CAFTA (Dominican Republic-Central American Free Trade Agreement). DR-CAFTA is a policy made to lower taxes on imports and exports between the U.S. and the partnering countries (including the Dominican Republic, Costa Rica, El Salvador, Guatemala, Honduras & Nicaragua). DR-CAFTA was passed under the presidency of George W. Bush in 2004 and began to be implemented in Nicaragua in 2006. Since its implementation, Nicaraguan exports to the U.S. have gone up by 71%, with the biggest contributor in textile and apparel. And U.S. exports to Nicaragua are up 69% since 2005. Seems like a win-win. But lets dig a little deeper. According to the Office of the U.S. Trade Representative website, DR-CAFTA “promotes stronger trade and investment ties, prosperity, and stability throughout the region and along the Southern boarder.” The question is, is DR-CAFTA truly creating a more stable Central America? Nicaragua continues to be the 2nd poorest country in Central America, with over half of the country living on less than $2 per day. Even though the government is currently working on raising the minimum wage, Nicaragua continues to have the lowest minimum wage in Central America which explains the incentive to open more textile factories here. In 2010 there were “148 companies operating in 44 Free Trade Zones” in Nicaragua, with the largest percentage (30%) owned by U.S. companies. Despite all of the textile factories in Nicaragua, the ironic part is that the main demand for clothing bought here is U.S.-imported clothing. Especially those with popular name brands such as Hollister, Abercrombie or Nike. In almost any neighborhood of Managua you’ll find a large used clothes store, called something along the lines of “Ropa Americana” (American clothes), most likely bought in large bundles from the U.S. I haven’t investigated much of the U.S. imported clothing market here, but that undoubtably could be a blog post in itself. Even though the DR-CAFTA agreement seems to be benefiting the U.S. and Nicaragua economically…socially and environmentally it doesn’t seem to add up. DR-CAFTA has little to no monitoring of labor or environmental standards making conditions dangerous and unstable for workers as well as the environment–adding on to an already unstable reality due to the increased affects of climate change in Central America. DR-CAFTA policy is also intended to prioritize large U.S. corporations, making it difficult if not impossible for small and medium sized local businesses and farmers to survive. One of the largest impacts of this has been migration. Unemployment and unstable climate has caused farmers and workers to seek jobs outside of Nicaragua. In fact remittences (money sent from family members outside of Nicaragua) made up 9% of Nicaragua’s GDP in 2014, with 80.5% being sent from the U.S. and Costa Rica (La Prensa). And this isn’t a problem unique to Nicaragua, migration has also affected many other Central American countries due to various factors including gang violence, political instability and un- and under-employment. During my time here in Nicaragua, I’ve begun to analyze both through news articles as well as seeing daily life, the impacts of U.S. policy on Central America. 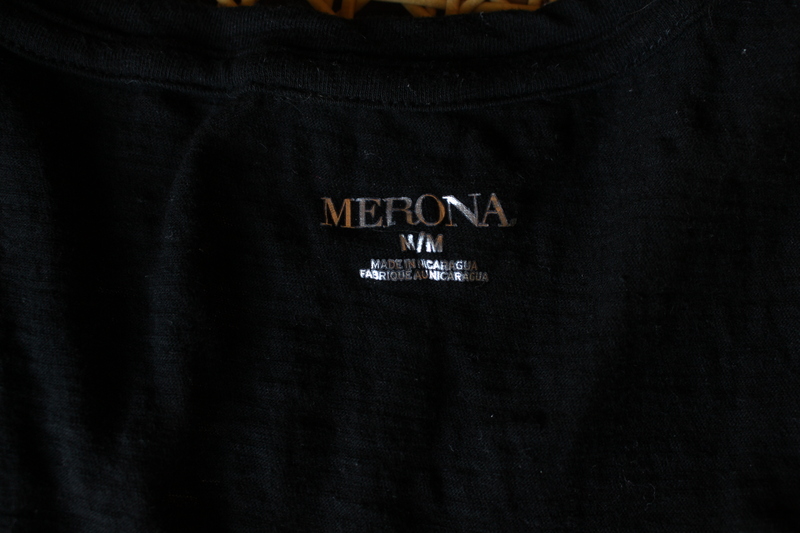 My hope isn’t to make you feel more guilty for buying a shirt made in Nicaragua, but I do hope that you start to notice those tags and become aware of how our choices, both as an individual, and as a government, affect those living south of the boarder. This entry was posted in Uncategorized and tagged central america, Clothing, DR-CAFTA, Economics, Free Trade Zone, Made in Nicaragua, Minimum Wage, Nicaragua, Textile Industry by bataholavolunteers. Bookmark the permalink.